What better place to make beautiful things for the church than in "God's Country,"
as the Shenandoah Valley is known? It is a place of natural beauty which has attracted many artists and businesses of a creative nature. 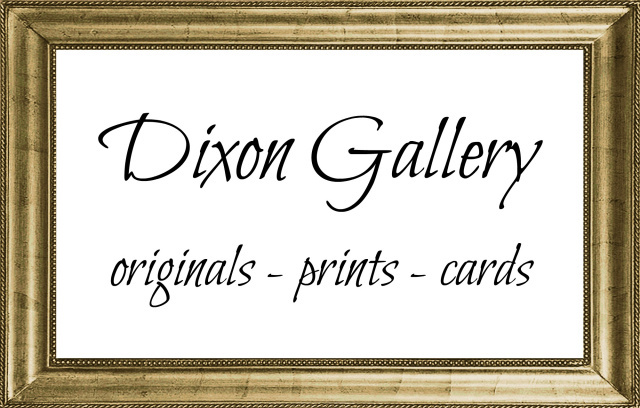 Dixon Studio occupies a 7,000 sq. 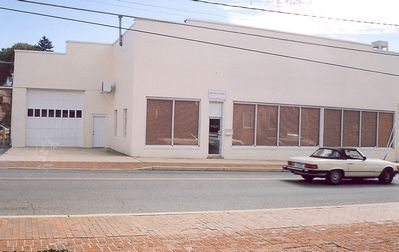 ft. building on Central Avenue, containing showrooms, conference room, design studio, and fabrication facility. Although the studio is not open to the general public, we do welcome visits by appointment from clients, past, present and potential. 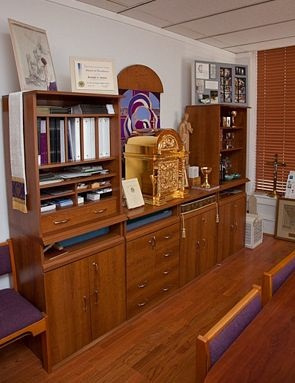 We will give you the grand tour and talk with you about the possibilities for your church. Bring your architectural plans, your wish list, and your questions. We'll spread it all out in the conference room, along with color swatches, material samples, catalogs, and portfolios. The showrooms are filled with a selection of samples from our catalog to show the variety and the quality. You can see and feel the chalices and vestments before ordering. And sometimes, there is even a tabernacle on display, awaiting installation. There are always a few vintage treasures from old churches to look through: stations, statuary, and so on. And, of course, more than half the space is filled with new stained glass projects in various stages of production, from designs to full size drawings, to glass cutting and painting. Conference room, filled with catalogs & samples. This Gothic style church was designed by architect TJ Collins and constructed in 1895 with a native green limestone exterior. Dixon Studio recently restored the century old stained glass windows, including five from the Franz Mayer Studio of Munich. Established in 1746, this historic parish was the spiritual home of colonists and revolutionaries. The current church was built in 1855 and houses 12 Tiffany stained glass windows and a fine pipe organ from Taylor & Boody. The American Shakespeare Center is an internationally acclaimed theatre company that performs Shakespeare's works under their original staging conditions -- on a simple stage, without elaborate sets, and with the audience sharing the same light as the actors. Located on the family’s former apple orchard, Barren Ridge Vineyards is now home to Augusta County’s premier winery. John and Shelby Higgs converted their old apple barn into a state-of-the-art winery, preserving the original structure and wood beams. The tasting room features wonderful wines that are available daily for complimentary tours and tastings. The Blue Ridge Parkway — known as America's Favorite Drive — meanders 469 miles from Shenandoah National Park in northern Virginia to the Great Smoky Mountains National Park in North Carolina and provides some of the most spectacular scenery in the world. The Frontier Culture Museum is a living history campus of farms with reinactors who tell the story of the thousands of people who migrated to colonial America, and of the life they created here for themselves and their descendents. Staunton is blessed with a vast collection of eclectic architecture spanning its boom period from frontier settlement to 19th century commercial center. The city has a rich core of downtown commercial buildings surrounded by cohesive neighborhoods and public buildings, all catalogued by the Historic Staunton Foundation. The Museum galleries guide you through Wilson's public life, from his Princeton study to his historic Great War peace efforts, and encompassing his service from 1913 to 1921 as the 28th President of the United States. Authentic Italian cuisine, great food, moderate price, pleasant atmosphere in five rooms. Outside patio (seasonal) and live entertainment. A local classic! 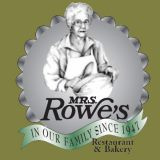 Written up in Southern Living magazine, snowbirds time their trips from Canada to Florida to arrive at Mrs. Rowe's for a great breakfast or a slice of pie. The Staunton/Augusta Farmers’ Market is a "producer-only" market, meaning that any item sold at the market must have been produced by the vendor and originate within a 50-mile radius of the market. Zynodoa is a hip restaurant and lounge in the heart of historic Staunton, offering creatively prepared southern cuisine in a comfortable, metropolitan atmosphere. Located downtown in five award-winning historic buildings from 1809. AAA 3 Diamond, Mobil 3 Star, Select Registry, BBAV, Conde Nast Johansens. The Inn at Old Virginia embraces the spirit of its historic past while providing its guests with the comfort and amenities of modern hotels. Originally built prior to the Civil War, this estate now offers ten distinctive guest quarters. Originally built in 1924 and a member of Historic Hotels of America, this modern yet refined Virginia gem underwent a complete top to bottom renovation in 2005 and has was lovingly restored to its original grandeur.